The Daily Press reached out to candidates vying for seats on the Artesia City Council this general election for their thoughts on the issues facing Artesia and how they would work to address them as councilors. All candidates were emailed the same questions. 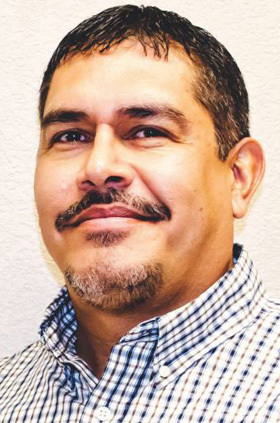 Running for the District 1 seat are incumbent Manuel Madrid Jr. and Manuel Barragan. The District 2 race for the seat vacated by Councilor Nora Sanchez will include Luis Florez and Jose Luis Gabaldon. Running for District 3 are incumbent Jeff Youtsey and Robert Wachter. 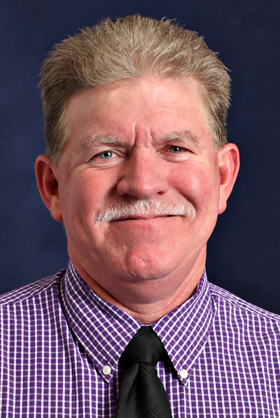 Bill Rogers is running for the District 4 seat unopposed. The general election will be held Tuesday, March 1. Polls will be open from 7 a.m. – 7 p.m., and voters may utilize either of the two polling locations: the Senior Center, corner of Roselawn and Chisum avenues, and Faith Baptist Church, corner of 20th Street and Grand Avenue. Early voting is also continuing through Feb. 26. Voters may cast their ballot early by visiting the City Clerk’s Office at City Hall, 511 W. Texas Ave., during regular business hours, 8 a.m. – 5 p.m., Monday through Friday. What is your primary motivation for running for city council? First of all, I love the City of Artesia. I want to see Artesia grow in industry, agriculture, and community itself. I want to see all the citizens of this city have great opportunities and feel safe, and also enjoy life in Artesia. What do you feel are the most significant issues facing Artesia today? There are many issues facing Artesia, as in many other cities. The most significant issue for Artesia is the falling prices of crude oil. Not only is it affecting business, it is also affecting the citizens of Artesia and services the city can provide for our citizens through tax dollars, such as building a new swimming pool for the community. Another issue Artesia is facing, not at this time but in the future, is water conservation. What would you propose to do to address those issues? Try to keep taxes to a minimum, if possible. Reduce spending within the city and find ways to keep the City of Artesia strong and moving forward. Starting now, find more ways to conserve water and educate the community on conserving water for future generations in the city. Background: I am the son of Manuel and Linda Madrid. Manuel Sr. was past mayor for the City of Artesia, of which I am very proud. I have three wonderful daughters, Jenelle, Courtnee and Audrey. I also have two wonderful grandchildren, Xoey and Ronald. I graduated from Artesia High School in 1981 and began going to Eastern New Mexico University. My father has instilled in me many of his qualities in the political world and had a vision for Artesia, which I want to continue to make Artesia great. Accomplishments: My accomplishments so far in four years on the city council: Along with my other council members, approved bonding and total replacement of the sewer, water, storm water drainage, and street facilities on 13th Street; approved funding and construction of a new, state-of-the-art library; chairperson of the Community Development and Planning Committee; member of the Police and Fire Committee; voted to reduce city property tax to zero for all property owners in Artesia; supported funding and construction of the veterans’ memorial at Baish Park; and worked with the Finance Committee to approve four years of a balanced budget. Additional Comments: As your elected city councilor for District 1, I will commit to keep Artesia moving forward and keep our great city strong and beautiful. Artesia is my home, and I love being part of the community. We have so much going for us, and I have been honored to serve as the District 3 councilman for the last four years. I see serving on the council as a way of giving back to the community that has been so good to me and my family. My grandparents were Artesia residents, as are my parents, and I plan to live in our town from now on. I would like to leave to our children an even better city than we all grew up in. Our biggest issue by far is the current economic downturn due to the price of oil. Oil, along with agriculture, ranching, FLETC and many others, make up our economy, with oil being the largest driver. The recent downturn in the oil industry has drastically affected the city’s revenue stream. Affordable housing is an issue the current council has worked to help resolve. Another issue is to ensure that we have sufficient water supplies to carry us well into the future. Crime and drug use in our community are an ongoing issue. Aged infrastructure must be dealt with. To address the downturn in the economy, our council must take steps to minimize the impact on our budget and financial standing. We must budget our departments to match our income. Families throughout our city are making adjustments to their budgets to weather the storm, and we are charged with doing the same. The current council has always been conservative with spending and ensuring a healthy reserve. An increase in tax revenue is not the answer, but rather prudent management of existing revenue to retain a healthy financial standing. The current council has taken steps to alleviate the affordable housing issue and must continue to do so. Roselawn Manor is an example of those efforts, and construction will begin this spring. We must actively pursue additional water rights when they become available to ensure we are ready to face the future and continue with conservation efforts. Law enforcement plays a key role in helping to control our crime and drug use problems. Changes in state law that close the revolving door would aid police departments and the courts in penalizing this behavior. I believe we must also take proactive steps to protect and educate our children. I support any organization that takes steps to show our kids alternatives to drug use and unacceptable behavior. If we can change the moral compass, we can begin to see results from our efforts. Providing our kids with good alternative activities helps build community and respect for others. I fully support efforts by the city to accomplish this. The ongoing Infrastructure Recovery Project is a priority for our city and will take us well into the future. Background: I graduated from Artesia High School in 1982, then attended NMSU in both Las Cruces and Carlsbad. I’ve worked for Navajo Refining for 18 years and currently work as a safety representative. I’ve been married to my wife, Penny, for 30 years this July. My daughter, Chelsea, works as an ER nurse at Artesia General Hospital, and my son, Chandler, is currently a junior at AHS playing football and running track this spring. My mother, Vesta, resides in Artesia and is retired. I am extremely proud of my family and want for them to live in the best city we can provide. Accomplishments: I have served the past four years on the council, where I sit on the Finance, Personnel and Infrastructure committees. I am an active member of Leadership New Mexico as well as New Mexico Municipal League. I have been active on political issues dear to Artesia. I am proud of the “reasonable” water conservation ordinance we have put in place that will help ensure our security for the future. We now have a new, state-of-the-art library, veterans’ park, animal shelter and new museum annex that we should all be proud of and utilize. Artesia is envied statewide for our accomplishments and the community we have built. I am both honored and proud to play a part in that for you, our citizens. Additional Comments: As I mentioned, it has truly been an honor to serve you, the residents of District 3, and the entire city. I beam with pride as I travel and hear all of the flattering comments made about our community. As I’ve walked the streets, I hear what’s really bugging you and what you desire for the city. A new city pool is a priority, not only for District 3 but the entire city. I would propose that we begin to develop a plan that people can get behind and support to allow us to begin to turn that dream into reality. I’m willing to work with any individual or group that wants to be involved in the process. We will weather the current economic situation and come out even better on the other end. I desire to continue as a member of the council and as your representative. I will continue to answer all calls for service, as I have in the past. I am able and willing to devote the time necessary to ensure Artesia continues the reputation as a City of Champions. Please come out Tuesday, March 1, and case your vote for Jeff Youtsey, Artesia City Council District 3.